Perhaps you’re searching for a gift for the special coffee lover in your life or perhaps you’re on the lookout for some cool new additions to your coffee gadget collection. Either way, a love for coffee and a passion for gadgets go hand in hand – so here’s a list of our favorites. Ever wish for a way to keep your brew at the perfect temperature for longer? 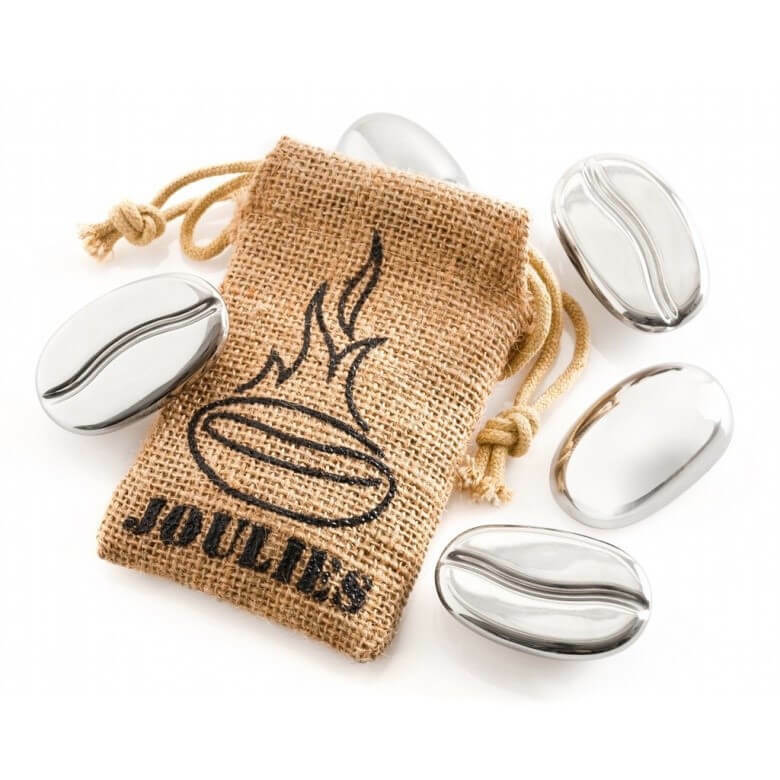 Then what you need is a set of coffee joulies – this neat little lo-tech gadget is the perfect solution. All you do is pop the joulies into your coffee. Once in, they absorb the heat of the drink and then release it slowly once the coffee starts to cool. This way your coffee will stay warm for longer, even if you’re too busy to drink it right away. Another ingenious lo-tech coffee gadget. Do you ever find yourself hunting around for a measuring spoon when the water’s boiled and you need to dose your coffee? Or maybe you can never find something to seal that coffee bag after you’ve used it. As Daily Cupo’s Kathy said: Fresh coffee beans is one of the most important points to brew a cup of coffee. So, this gadget is important for storing coffee beans. 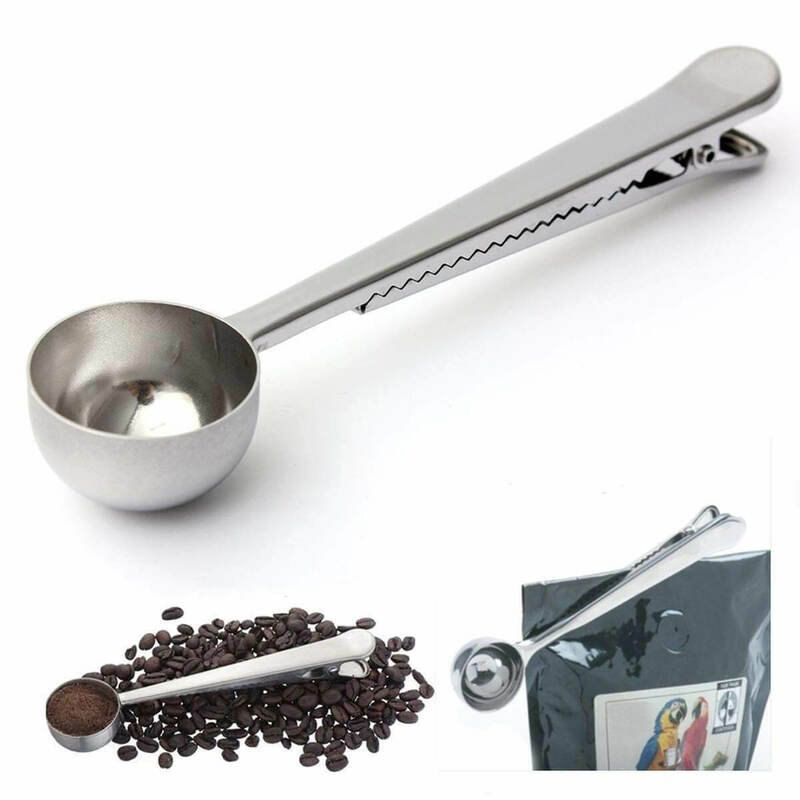 With a 2-in-1 clip, you can solve both problems in one go – you use the spoon part to dose your coffee and then use the same object to close the bag after use. Simple and effective. 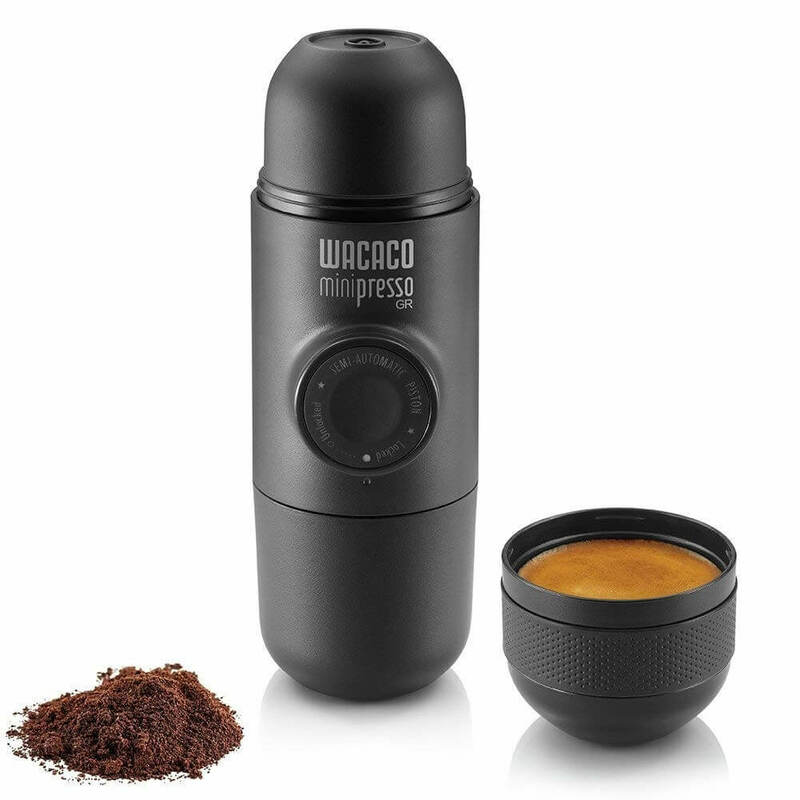 The ultimate espresso gadget for the coffee lover who’s always on the go. Everything you need to make authentic-tasting espresso brewed under pressure – there are no batteries and it doesn’t need to be plugged in, all you need to do is add hot water and press. If you are travelling for business and you’re worried about not having access to good coffee or you’re a keen camper and you want espresso in the wilds, then this pocket-sized gadget is just what you need. For the truly dedicated coffee aficionado and gadget fan who has everything else, what could be better than the world’s most advanced mug? 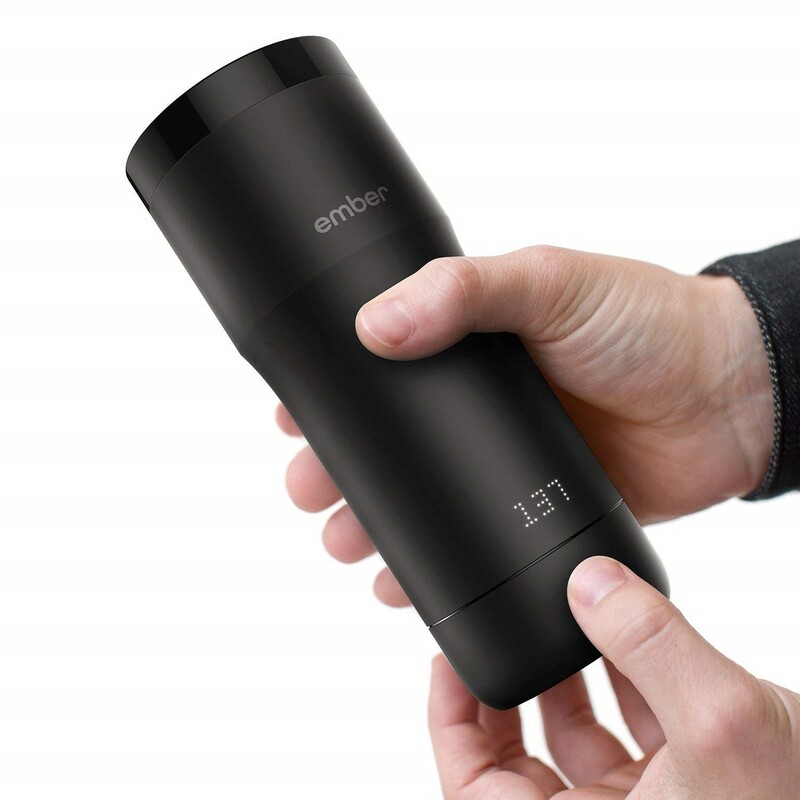 A simple Thermos is no longer enough – what you need is a hi-tech travel mug with controllable temperature. That’s right, you can actually decide the temperature you want your coffee to be at and then adjust it on the mug. And if that weren’t enough, you can even control your mug via an app on your phone. Truly mind-blowing! For frequent travelers who are also big cold brew fans, this is the ideal gadget. With the Dripo cold brew coffee maker, you can easily produce your own cold brew wherever you are – in a hotel room, in the woods or just about anywhere else. Usually making cold brew involves large quantities and complicated apparatus – but with this gadget, it couldn’t be easier. Its small, portable size makes it perfect to carry in your luggage, so you’ll never be without your favorite drink wherever your travels take you. This gadget claims to be the world’s first all-in-one coffee maker – and it’s the perfect solution for someone who is always on the move but who can’t do without that daily fix of caffeine. 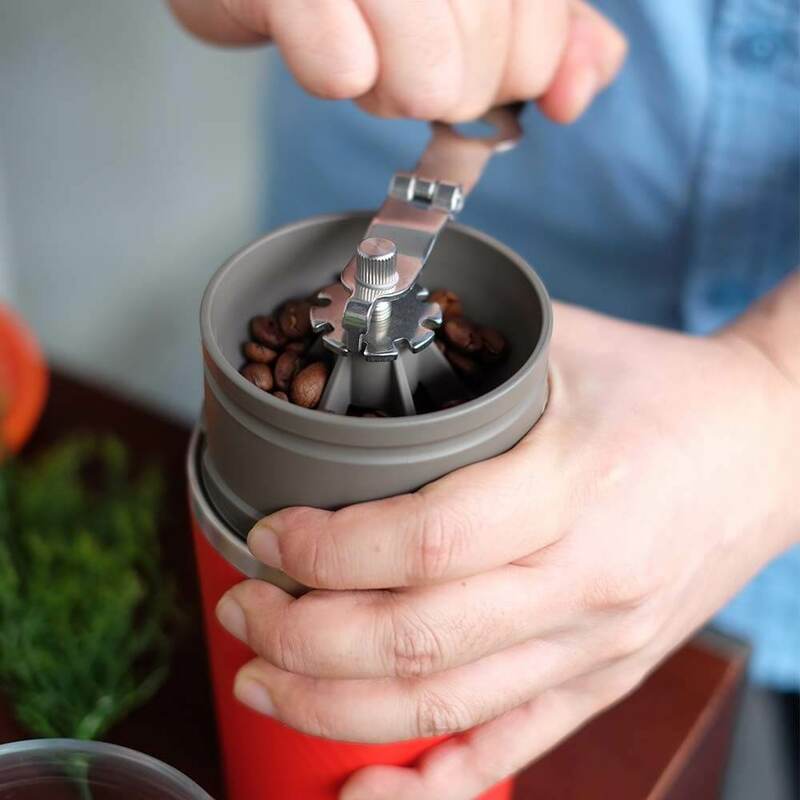 This device includes an adjustable ceramic burr grinder, a pouring kettle, an etched Stainless-Steel filter dripper, an insulated tumbler and a lid. It really does have everything you need to make delicious hot coffee wherever you go – you only need to supply the coffee beans and the hot water. Since Keurig machines first appeared in the early 2000s, they have gone on to dominate the North American home coffee maker market. As the ultimate in convenience and ease of use, it’s not hard to see why this happened – but all those disposable pods are a disaster for the environment. The other problem is once you buy a machine that takes pods, you’re locked in to buying only pods that work with that machine – unless you buy reusable pods! This simple solution solves all the major problems associated with pod-based machines. You no longer generate piles of plastic waste just to make coffee, and you free yourself to use any kind of coffee you like, not just coffee sold in pods for your machine. Perfect! This funky little invention is nothing new now – but it’s still just as good as ever. 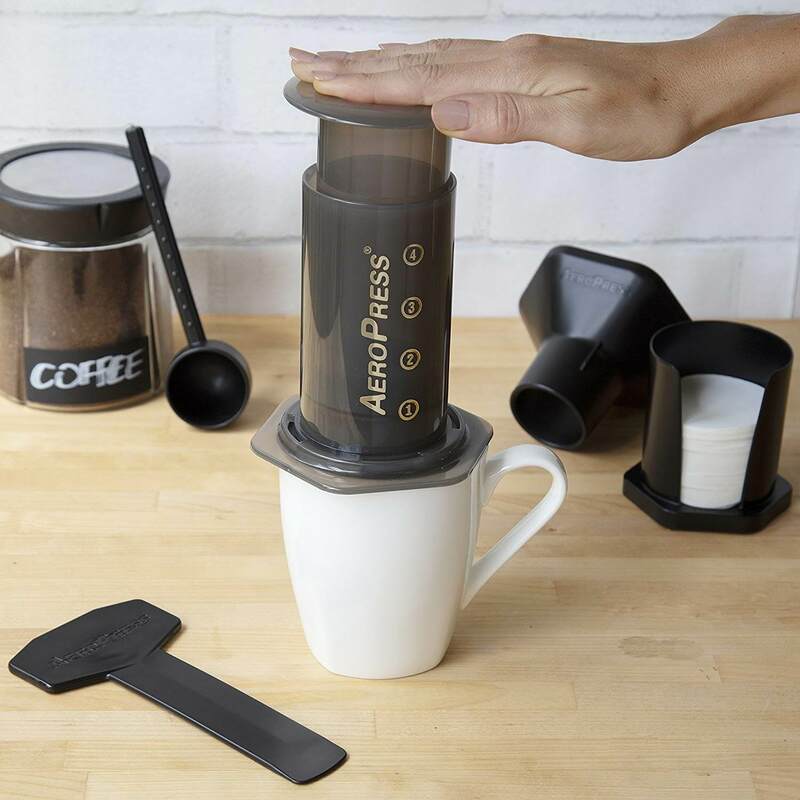 Aeropress is a quick and easy way to make espresso-like coffee using a device that works by brewing when you push down and force the water through the grounds. 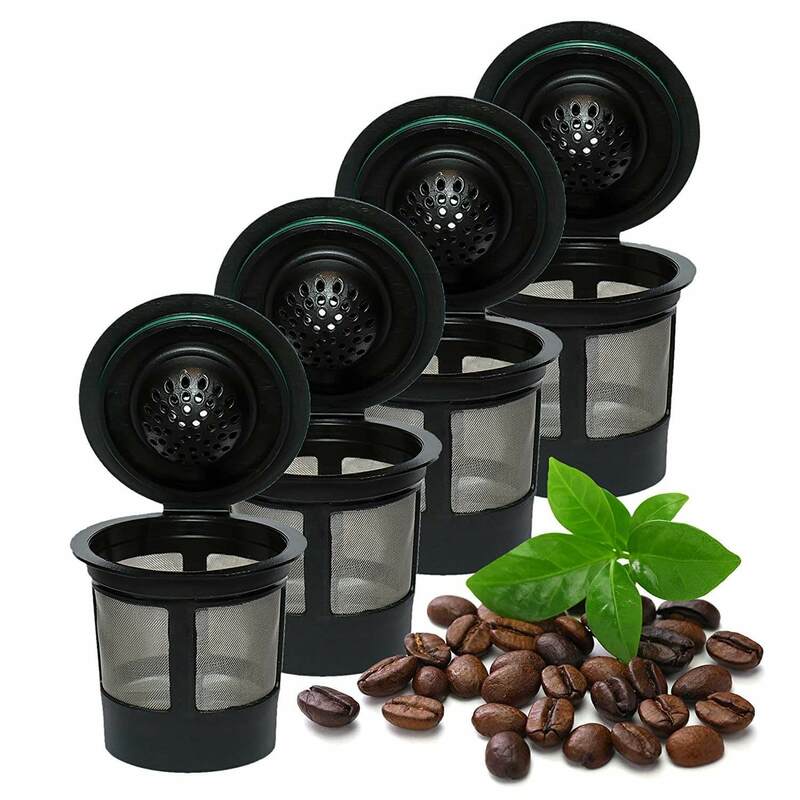 The advantages are that it only takes about 30 seconds to brew a coffee and that the microfilters keep all of the coffee grit out of your drink – leaving you with just a smooth, rich and aromatic brew. Using one also feels a bit like doing a chemistry experiment, making it a fun item to own too. Commuting by bicycle is a great way to dodge traffic, stay fit and save money on fuel all at the same time. However, the biggest problem with it is that you can’t take a mug of coffee like commuters in cars (ok, maybe this is not the most obvious problem that comes to mind but it’s still a problem!). If this is a sentiment you can relate to, what you have been looking for is a bicycle coffee cup holder. 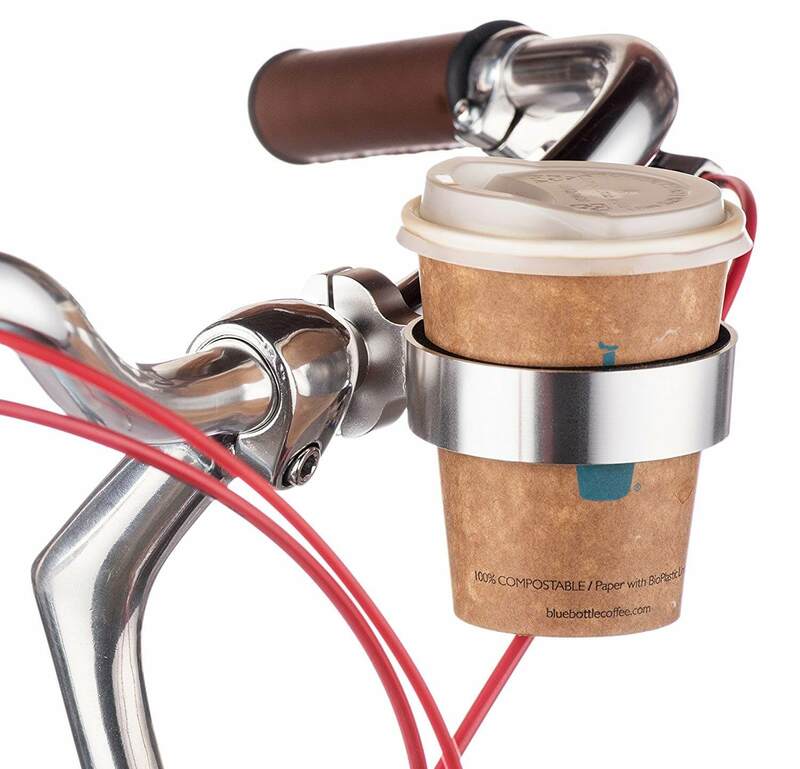 You can place your mug on your handlebars and swig your coffee as you ride to work, just like all those car commuters sitting there stuck in traffic. If you want to make cappuccinos, lattes and flat whites as home but you don’t have an espresso machine with a frothing wand, what you need is a machine to froth milk. 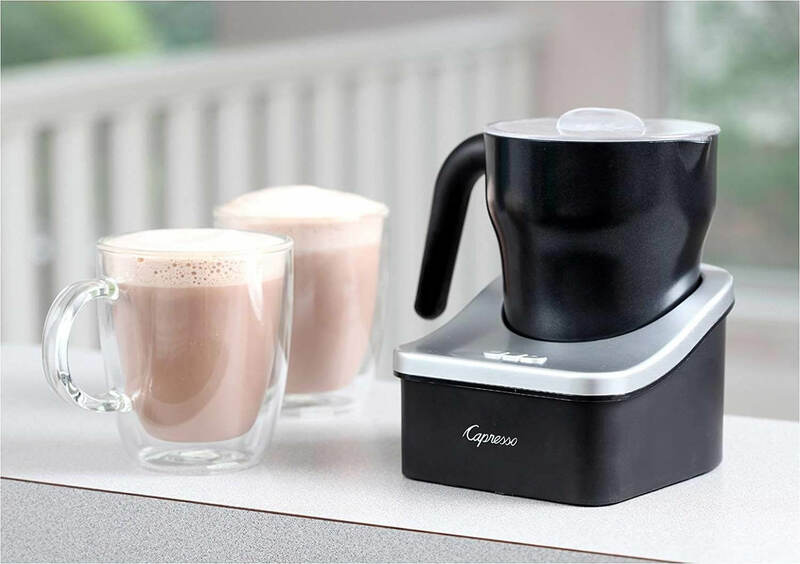 It’s much cheaper than buying a complete espresso machine but will still allow you to make all your favorite coffee shop-style drinks in the comfort of your own home. There are so many options to choose from for coffee-loving gadget fans. From the simplest ideas to more elaborate innovations, if you’re looking for a gift for a coffee fiend, your only problem is likely to be deciding which one to go for.